The dramatic back drop and rustic charm of Champery’s narrow streets and wooden chalets make this village one of the prettiest, picture postcard ski resorts. 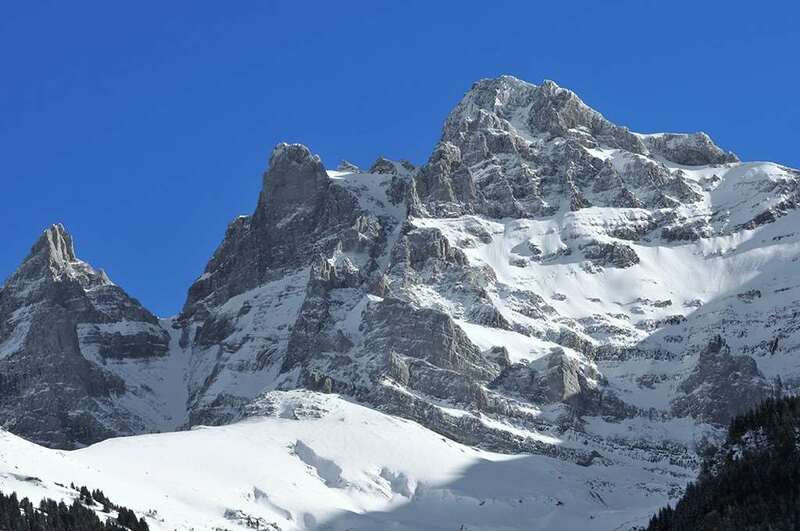 Though there is a good ski school, Champery is not ideal for the beginner with only a single gentle nursery slope in the centre of the village and most of the tuition taking place at the end of an expensive cable car ride to the higher Planachaux runs. 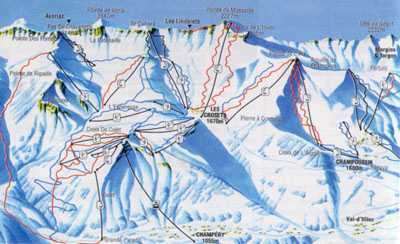 It is the capable/intermediate skier for whom Champery is perhaps the most suitable, with the whole of the Franco-Swiss Portes du Soleil piste circuit to explore. The routes to Avoriaz can include the famous ‘Swiss Wall’ with its terrifying moguls and there is great skiing towards Châtel and Champoussin. Ski school is well organised. Portes du Soleil is blessed with dumps of powder each season as located in the prime spot of the western side of the alps. There is also numerous of snow cannons blasting out artificial snow for guaranteed skiing throughout the winter season. At the end of the day most skiers take the cable car from Planachaux and stop at the top at Chez Coquoz for a hot chocolate and cakes. Otherwise take tea in one of the many bars and tea rooms in the village. In the evening restaurants abound and a couple of nightclubs are lively for those with the energy to sample them.Morgins is the highest of the Swiss resorts in the Portes du Soleil, with good connections especially to the skiing of Champoussin, Super-Chatel, Torgon and La Chapelle d’Abondance. It is small and friendly and for a small resort has plenty of amenities and jolly après ski. Geneva airport is located 126 km from resort which is accessible via car or bus transfer about a one hour 40 minutes drive away.